Contact For﻿m For Rentals - Reserve bikes now. See maps on biking Key West page. 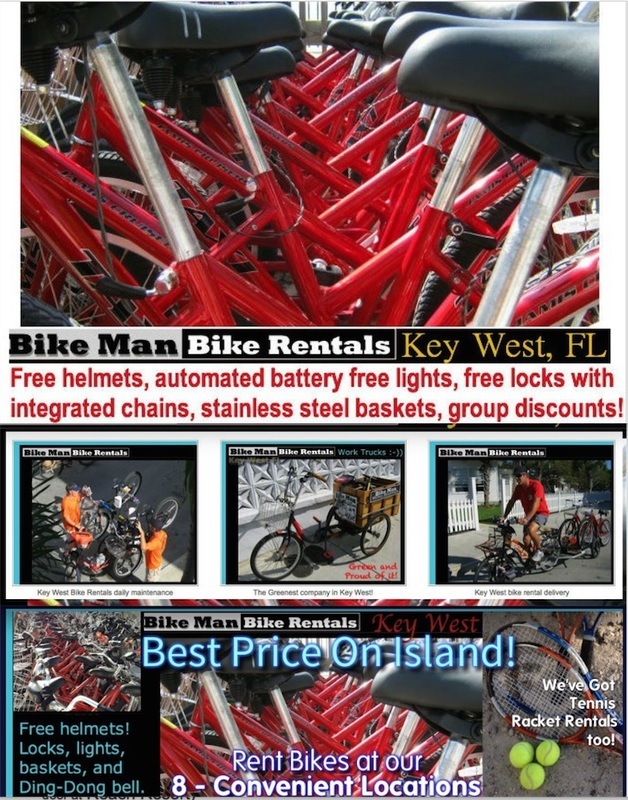 We give the best deal on the island with options for group discounts, price reduction for rentals over 24 hours, multiple day and weekly rates, rent bikes for kids, Key west cruisers, speed bikes, trikes, rent tandem bikes in Key West, adult bikes with child seats, tag along bike rentals, more! Like tennis? We rent out tennis rackets too and get info where to play at public courts on the island. 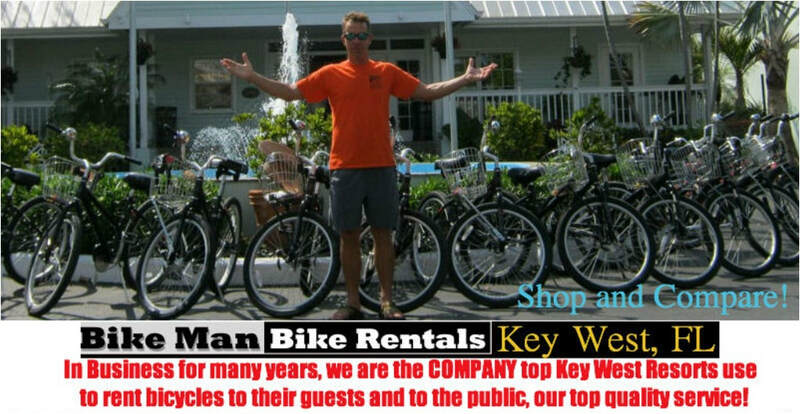 Rent Bikes, in Key West Bike Rental﻿s include Tandems, Kids bicycles, Key West Cruisers, speed bikes, lot's more... safety first, top quality bikes.